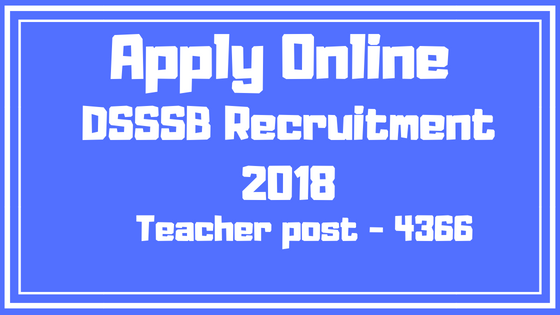 The Delhi Subsidiary Selection Committee (DSSSB) has issued a notification to recruit vacancies for teachers. Applicants who are interested in the details of job vacancies and complete all eligibility criteria can read the notification and request it online. Senior Secondary (10+2) or Intermediate or its equivalent from a recognized board / institution & 02 year’s Diploma / Certificate Course / in Elementary Teacher education Course/ Junior Basic Training or equivalent or bachelor of elementary education from a recognized institution. Candidates must have qualified CTET.